Tom Bruno has no regrets about the way his life has worked out. In the 1970s, he was considered a prime major-league prospect, a pitcher who showed flashes of brilliance in the minors. And he fulfilled some of that promise in the big show, pitching for three teams, including the Royals, before his career came to an end after four years. 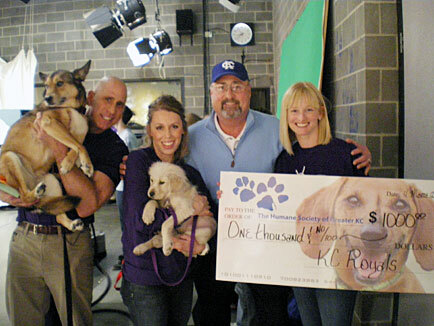 Tom Bruno, Kansas City Royals Alum presents a check to the Greater Kansas City Humane Society. Pictured in the photo is NBC Action News weatherman Gary Lezak, members of the Humane Society and Bruno. 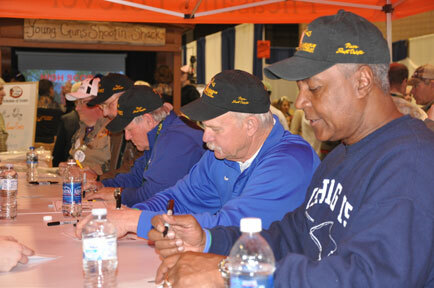 Kansas City Royals Alumni Frank White, Dennis Leonard, Marty Pattin & Tom Bruno sign autographs for fans at the 2012 Pheasant Fest held in Kansas City. 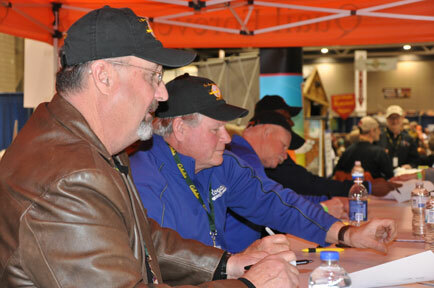 The fan appreciation event was sponsored by Major League Adventures, LLC. 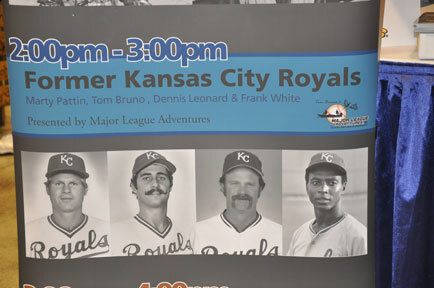 Tom Bruno was signed by the Royals as an amateur free agent in 1972 before eventually debuting in Kansas City during the 1976 campaign. A 6-5 right handed pitcher, Bruno went 1-0 while with KC in 12 MLB appearances before the Toronto Blue Jays snatched him up in the 1976 Expansion Draft. 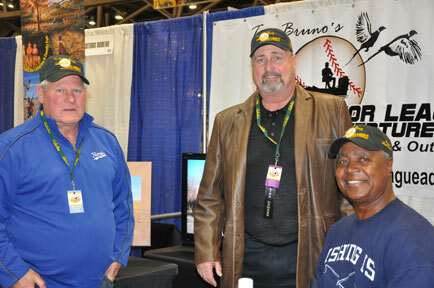 From there, Bruno spent time with Toronto and St. Louis, before launching a really cool life after baseball. 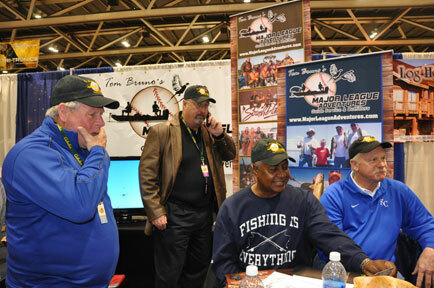 Tom recently joined Dave O to talk about that life as a fishing and hunting guide, as well as going back to reminisce about coming up through the Royals system, his memories of the 1976 season in KC, going to Toronto and St. Louis and much more! 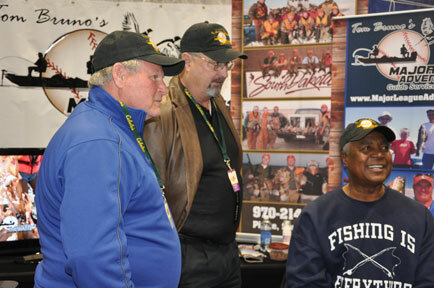 Listen to interview with Tom Bruno and Dave O above. 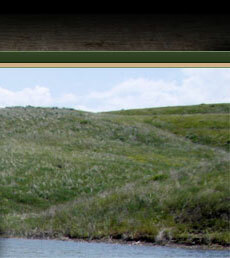 Become a Fan of Major League Adventures on Facebook!